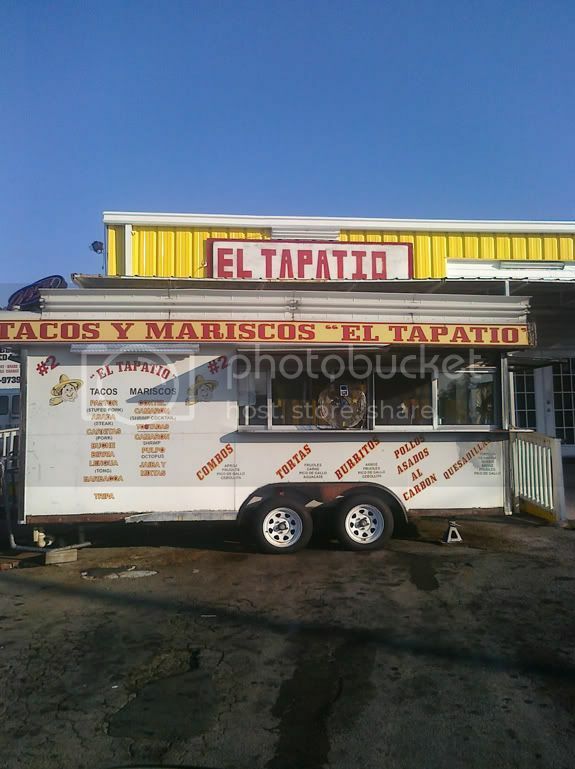 Today's Tuesday Taqueria takes us to El Tapatio. This is another restaurant/taco stand combo. 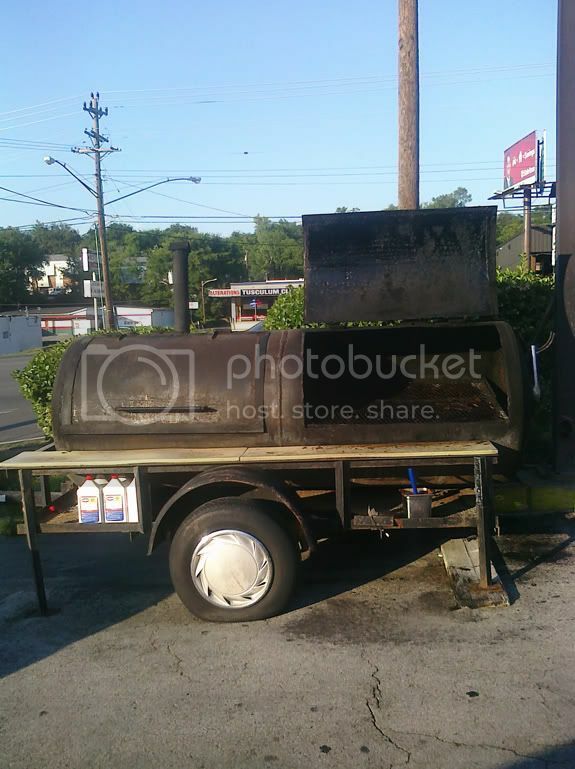 The building is adjacent to an auto body shop, and the taqueria trailer sits in front of the restaurant with a smoker/grill along Nolensville Road. As with some of the other taquerias, as you pull up a car hop quickly approaches your car. On this day, the parking lot was pretty full and there were 2-3 car hops making the rounds taking orders. I ordered tres tacos. uno pastor, uno lengua, and uno carnitas. 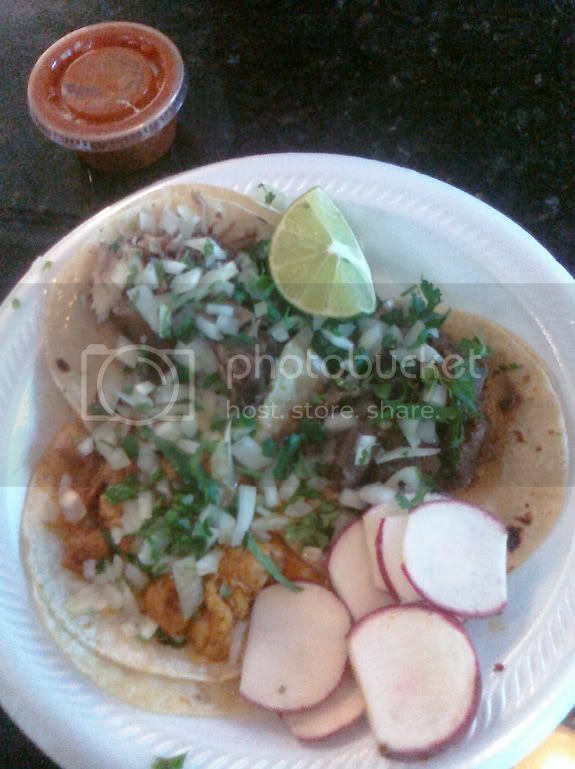 The tacos were garnished with radish slices, a lime, and some red sauce. When the car hop gave me the total, I could not understand what she said. So I gave her a $5 and told her to keep the change. As with the other tacos I am sure they were somewhere between 99 cents and $1.50. Overall El Tapatio is pretty good. I am a little turned off by the amount of lighter fluid that adorns the grill, but I guess it works for Myron Mixon, and it didn't seem to come across in the flavor of the meat. I kid, I kid. I am loving these reviews, the map, the ordering tutorial. Thank you!